Quality in appearance and quality that supports function. 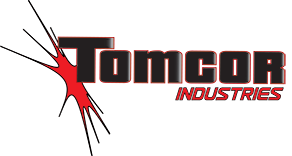 Tomcor's steadfast attention to quality control ensures both. Tomcor works to reduce and eliminate the variables that can affect the coating process. Equally important are the variety of industry tests we perform to ensure reliability and uniform quality tests that go far beyond visual inspections. In addition to our automated chemical testing, our coating processes are regularly tested multiple times each day. We use industry recognized testing equipment and standards to ensure adhesion, water/humidity resistance, durability, and the highest quality finish. Cross Hatch Adhesion Test (ASTM D3359). "Our ultimate quality control commitment? Making sure your finish measures up."